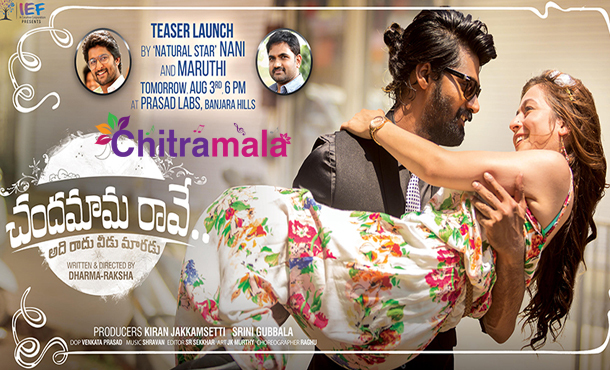 Superstar of medium budget movies, Nani, is gearing up to unveil the teaser of upcoming Telugu romantic drama ‘Chandamama Rave’. Naveen Chandra of ‘Andala Rakshasi’ fame and Priyal Gor are playing the lead roles. The film has the distinction of being the first Indian film to be directed by twins, Dharma and Raksha, who are making their directorial debut. Nani was impressed with the teaser hence he agreed to unveil it on 3rd August. Naveen Chandra will be seen with a different look in the film. Priya’s character is said to be the highlight of the film. Swathi Justified “Tripura” Says Producers!